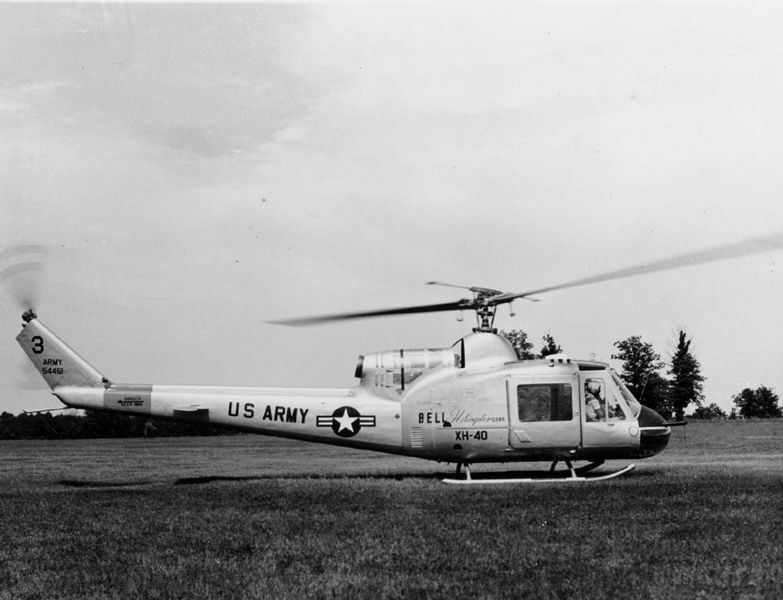 Previously known as the Model 204, the XH-40 was a prototype, utility helicopter developed in 1956 for the US Army. The cabin accomodates six passengers or two plus two stretchers. The aircraft was designated UH-1A upon entering production. Resources related to the Model XH-40 , provided by the Vertical Flight Society. Resources related to the Model XH-40 , provided by public sources across the internet.